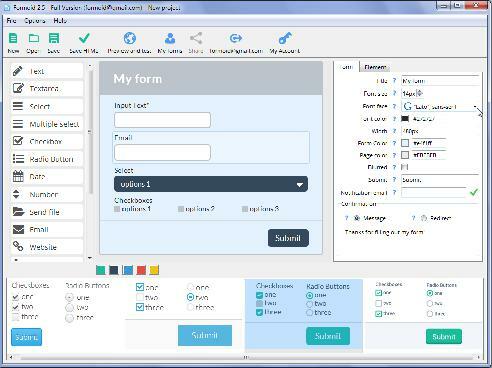 Formoid is a free desktop app that helps you easily create bootstrap form, html contact form, css forms, html5 contact form and more in a few seconds without writing a single line of code. Create fresh online forms in just a few clicks. For me, validation, server side processing & sending data to email are essential. Since these features are not available in the beta I am not interested in your product at this time. Let me know when those features are available and I will SERIOUSLY consider your product. All data are checked on our servers (if you use our server) or on your server. I noticed in your Metro Template Demo you have the first and last name fields side by side. How can I accomplish that?